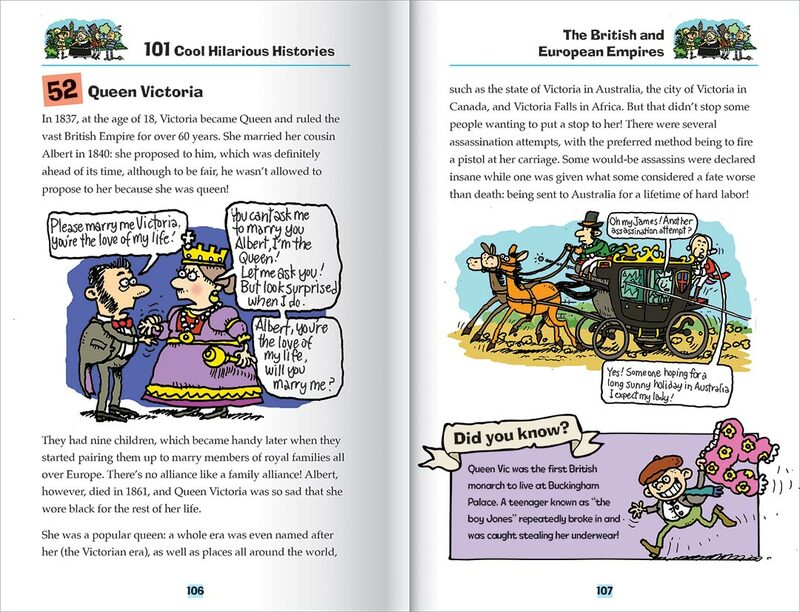 These 101 true tales from history are packed with colourful cartoons celebrating the most dastardly dynasties, colourful characters, and incredible innovations; they will have you in stiches! 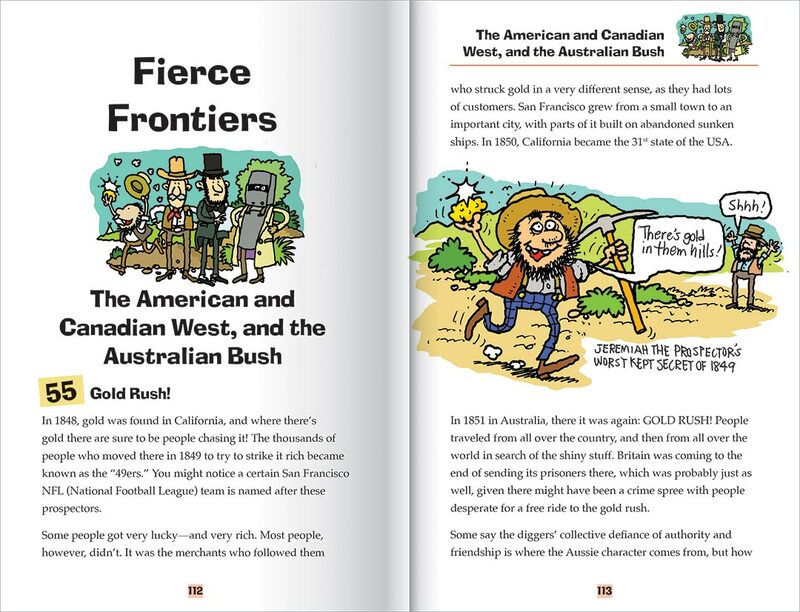 This book is filled with hundreds of amazing facts in 15 awesome subject areas, with over 200 rib-tickling cartoons. Did you know that the Ancient Egyptians believed in magic, and even had their own magic wands? Or that Ancient Greek inventor Archimedes created a heat ray made of mirrors to set fire to enemy ships? Or that Genghis Khan created the world’s first postal service, with Mongolian postmen delivering mail on horseback? 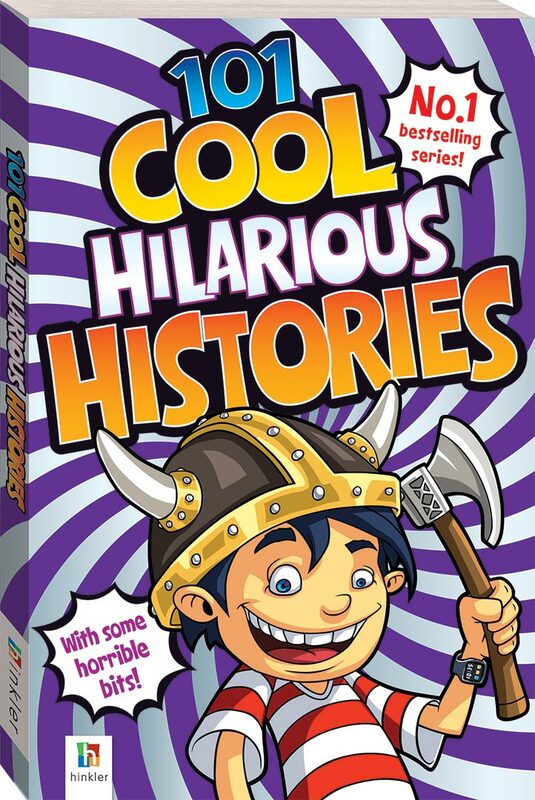 From Aztecs to Vikings, from the Middle Ages to the millennium, embark on a journey back in time and around the globe to learn about the funnier, yuckier side of the people and events they certainly don’t teach you at school! A fun and entertaining educational tool, this book is a must-have for every child's library!